So, You Want to Be a Doctor, Eh? It's finally here! The comprehensive guidebook on gaining admission and succeeding in Medical School in Canada. Do you dream about becoming a doctor? If you see yourself saving a life in the OR, delivering a baby safely into his mother's arms or tracking down infection overseas, medicine may be your calling. Dr. Anne Berndl, M.D. guides you through the highs and lows of becoming a physician in Canada. Many apply to medical school and few are accepted. Make sure you are one of the few - get this book! Are you right for medicine and is medicine right for you? How do you develop yourself into a competitive applicant? How should you prepare for interviews? What is medical school, and being a doctor, really like? Dr. Berndl addresses these issues and more, giving you the inside scoop you need to become the physician you always knew you could be. 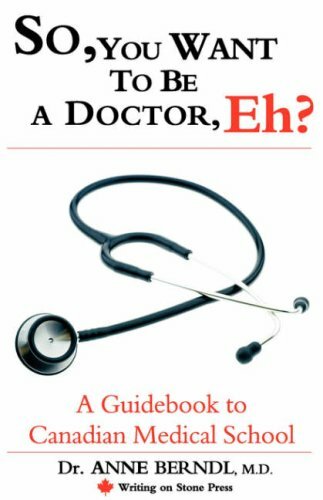 With a clear outline of the challenges you are about to overcome, an honest and personal look at the reality of medicine and supplementary insight from current medical students and physicians, this is the only book you'll need to land a coveted seat at a Canadian medical school. All English speaking medical schools in Canada are comprehensively discussed to help you prepare to apply, covering everything from admission statistics to curriculum. Are you ready to start following your dream? Dr. Anne Berndl received her M.D. from McMaster University in 2005 and is currently pursuing specialty training as a resident in Obstetrics and Gynecology through Dalhousie University. In 2006, she was named "Top 30 under 30" in Halifax by the Halifax Daily News. Part of the Writing on Stone Press Canadian Career Series. Becoming a doctor is so much more than acing your MCATs, living through med school, then getting the perfect residency. It is a career that demands long hours on little to no sleep, constant continuing education, and a tough decision about which of the many types of medicine you want to practice. But with the right guide, you can make the right choices each step of the way. On Becoming a Doctor calmly and thoroughly walks you through each academic, physical, and emotional step you'll take on your way to a successful career in medicine, and it includes interviews with many different specialists to help you choose a medical path. 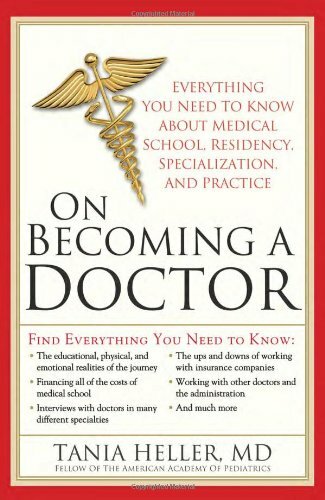 On Becoming a Doctor covers everything you need to know about medical school, residency, specialization, and practice. Here is real-life advice and professional guidance for aspiring M.D.'s. 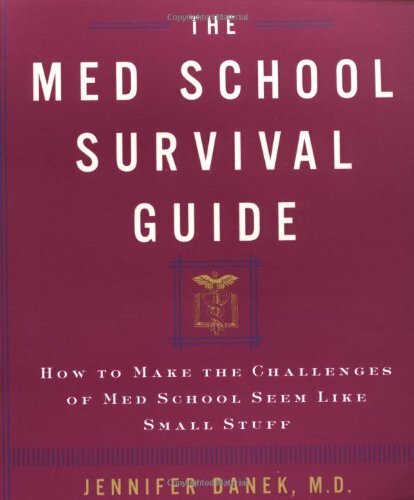 The Med School Survival Guide shows you how to make it through medical school with your heart and soul intact. Delivering a baby, sleep deprivation, giving bad news, dissecting bodies, seeing death—the journey of becoming an MD is not an easy one. Join the author as he takes you through his four years at Duke Medical School. 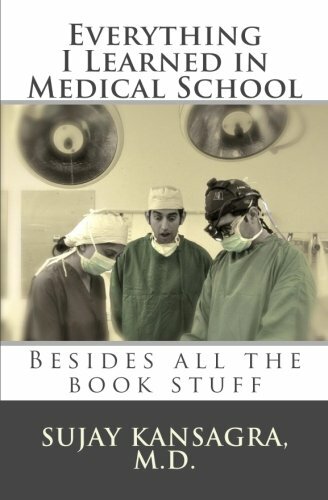 Through this book, he explores the world of medicine through fresh eyes and shares the serious, the stressful, the entertaining, the unbelievable, the struggles, the sick, the unexplainable, and the stories that taught him everything he learned in medical school (besides all the book stuff, of course). The competition to get in to medical school is fierce. Stand out from the crowd by following the tips and guidance in this book. Dr. Jessica Freedman, formerly on faculty at the Mount Sinai School of Medicine where she served on medical school and residency admissions committees, will guide you step by step to improve your chances of admission to medical school. 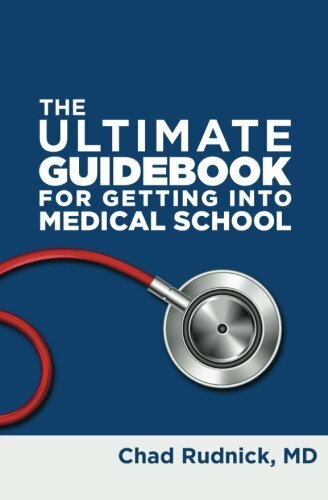 Whether you are an outstanding candidate hoping to attend a top-notch medical school or a borderline applicant just hoping to get in somewhere, the no-nonsense advice offered in this comprehensive guide will greatly improve your chances of achieving your goals. 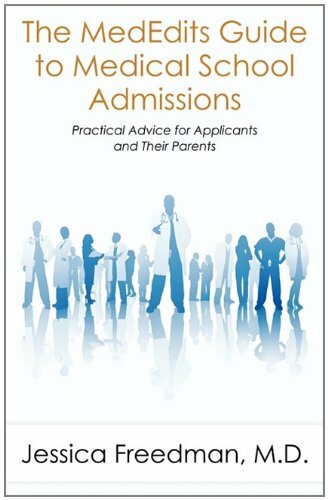 The MedEdits Guide to Medical School Admissions is sure to become the go-to book for all aspiring doctors. This step-by-step guide uses real life experience to outline the journey from grade school to med school. Filled with information that guidance counselors and admissions board members won't tell you. + What does it really mean when medical school applications say something is recommended, but not required? + What about all of the extracurricular activities, research experience, and leadership roles? + What is the true importance of the Medical College Admissions Test (MCAT)? + Do I need a high GPA? + How do you impress on your interview? + How do you know which schools to apply to? + What about everything else? Learn the ropes of applying to medical school from which courses to take and when, the MCAT, application, interview, and so much more. Chapters with can't miss tools for success checklists to help you every step of the way in your journey to becoming a doctor! 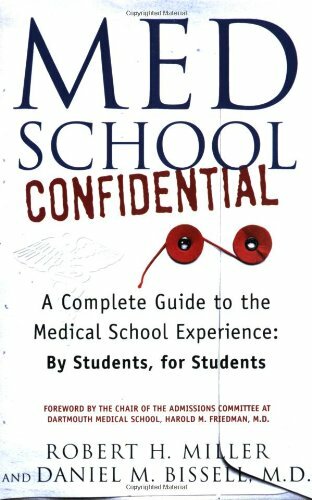 Med School Confidential uses the same chronological format and mentor-based system that have made Law School Confidential and Business School Confidential such treasured and popular guides. It takes the reader step-by-step through the entire med school process--from thinking about, applying to, and choosing a medical school and program, through the four-year curriculum, internships, residencies, and fellowships, to choosing a speciality and finding the perfect job.